The talk around the Twitter water cooler over the last couple of days suggest that Deep Silver will be revealing Saints Row 4 in a few weeks at PAX East, and give the game a Summer launch for the current generation of consoles. While it is possible that Norris is teasing some other Deep Silver property, the smart money seems to point towards this being the long-awaited Saints Row 4 reveal. 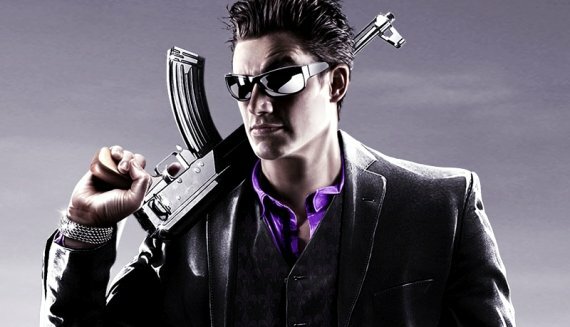 After Koch Media (the parent company of Deep Silver) picked up the Saints Row intellectual property in THQ’s bankruptcy auction, the company’s CEO Klemens Kundratitz revealed that both Metro: Last Light and Saints Row 4 would be released during the current calendar year, as THQ had originally planned. The Metro 2033 sequel was recently confirmed for a May release, which leaves the fourth installment of Saints Row as Deep Silver’s only known IP that is still unannounced. The August Saints Row 4 release should definitely be considered a rumor, however, the timing actually makes a lot of sense. With Rockstar Games’ “no conspiracy” September release of Grand Theft Auto V, and the anticipated launch of the PlayStation 4 and Xbox 720 later this year, SR4‘s seems to have been pinned into a very narrow release window. If the game launches too soon after GTA V is on the market it will likely be overlooked. If Deep Silver pushes the release back to distance itself from Rockstar’s flagship IP it will end up selling a last-gen game in the middle of a next-gen console launch. PAX East is scheduled to invade Boston on March 22nd, so it should not be long before we get an official confirmation of Deep Silver’s plans for Saints Row 4 (or whatever it is that they are planning to show off). Once the publisher makes their official announcement we will let you know.